Families of those who have had a loved one seriously hurt or killed in an accident can be the most ardent crusaders to ensuring that justice is served. That is exactly what happened after Pedro Gonzalez was killed in a hit-and-run accident. Gonzalez’ mother, Carmen Montoya has vowed to do everything within her power to help find her son’s killer and bring him to justice. As we reported in an earlier blog entry, Pedro Gonzalez had been walking his dog one evening when he was walking his fox terrier, “Mister V.P.” when he was struck by a vehicle near NW 12th Avenue. Gonzalez was rushed to Ryder Trauma Center, but later died as a result of the injuries he sustained in the accident. Now Carmen Montoya is handing out flyers on the same street where her son was killed. On the flyers is the photograph of the man that police have said is responsible for the death of her only son. The alleged driver, Bayron Villalobos, had been driving a 2006 Chrysler sedan that police believe hit Gonzalez. So far, however, police have not been able to locate Villalobos, and Carmen Montoya is convinced that his family knows where he is but they are hiding him. It’s only a matter of time before this hit-and-driver is found. It’s not a question of if, but rather a question of when. When he is caught he will face not only criminal charges, but the civil charges as well. If you or a loved one has been the victim of a hit-and-run accident, call our offices as soon as possible. We can get your civil case started for you once you’ve seen a doctor. Our attorneys will take the time to sit down with you and discuss your case. Most importantly, we have years of experience in the greater Miami-Dade area. 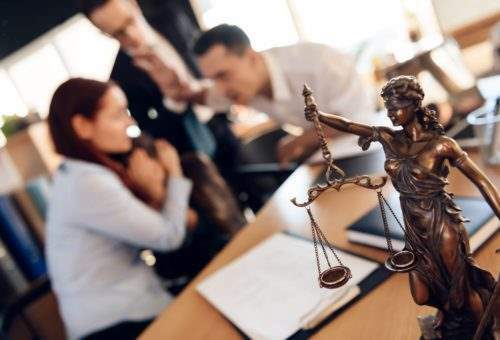 While no one can guarantee results in legal cases, we have successfully argued many accident cases within the Florida courts. Call us now so that that you can get the compensation and peace of mind that you and your family deserve.